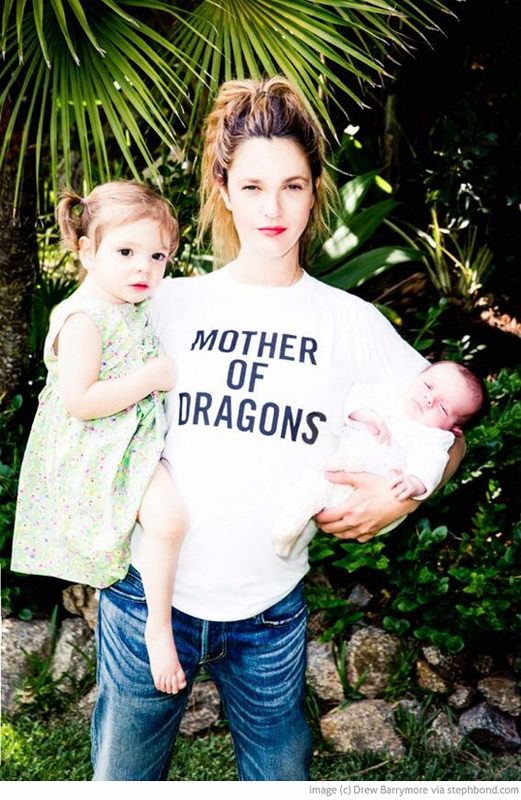 I'm obsessed with this photo of world's-most-adorable Drew Barrymore and her two daughters in this cool Mother of Dragons tshirt (inspired by Game of Thrones)! It's not anything close to Australian design, but I can't resist Drew with her messy ponytail, comfy jeans, and great lipstick and those two babies on her hips (a pose I remember well!). I also remember that that wasn't an easy time, and I was constantly reaching down to channel my inner Daenerys Targaryen.